We may not all be Michelangelos, yet we all have a bit of creative spirit inside us that we need to allow to play! 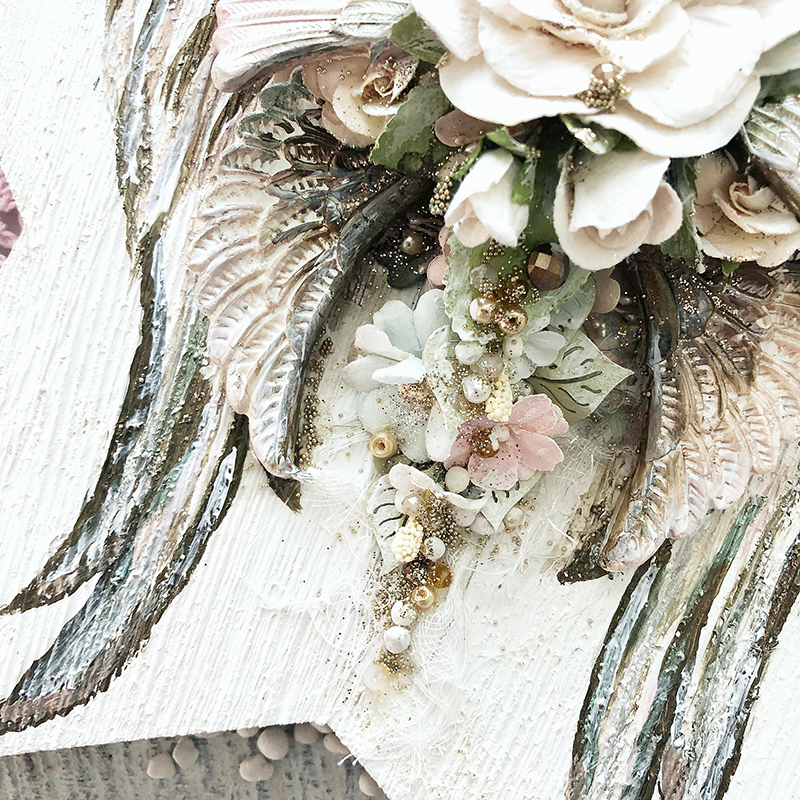 Papercrafting, watercoloring, art journaling, mixed-media, planning…these are all art forms that we can engage in and, thus, set our own internal “angel” free. Our designers created their own angels today, using whatever Prima products, styles, colors, and form they chose! The sky was the limit! Look for stamping, paper cutting, moulding, watercolor, and more as Rachel, Stacey, and Karine share their Prima angels! It’s comforting to think there could angels around us…our own little heavenly guardians watching out for us. And we can be an earthly angel to others. What could be more rewarding than helping those who are in need? I encourage you to reach out to one person you know is hurting emotionally, financially, or with their health, and bring them a handcrafted angel. Let them know you care through your own personal touch! You could be their own ANGEL this holiday season.